This is the single page [0.1MB] you need to download, print and take on holiday with you. It is the compact guide to all the projects of the ADU, including a list of all the Virtual Museums. 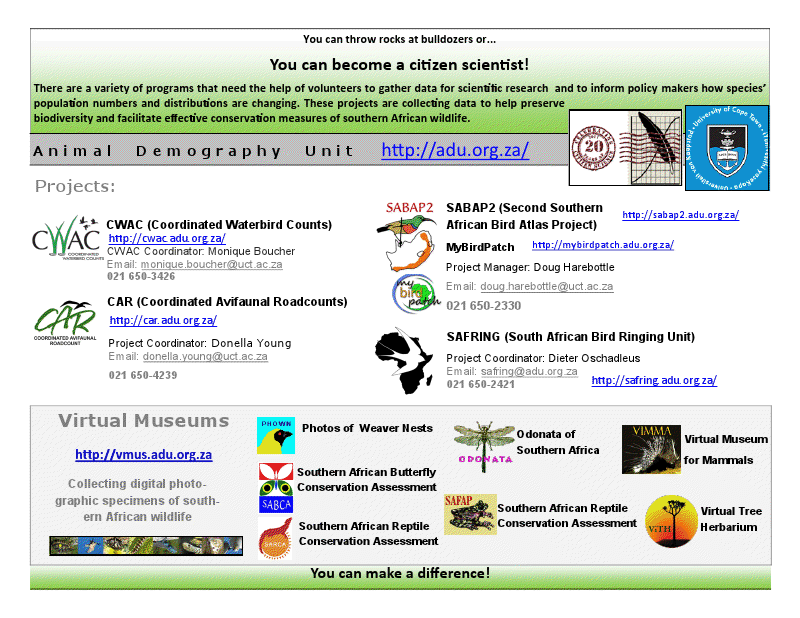 You might also find it useful if you get asked the question: "What citizen science projects is the ADU involved in?" It was produced by MSc student Kate Robinson, who was asked precisely that question when she gave a talk at the Stanford Bird Festival recently - thanks, Kate. The paragraph at the top of the page provides a remarkably succinct summary of what the projects are all about, and why they are so important.